Education in Motion Workshop: Register Now! Are you curious about movement? 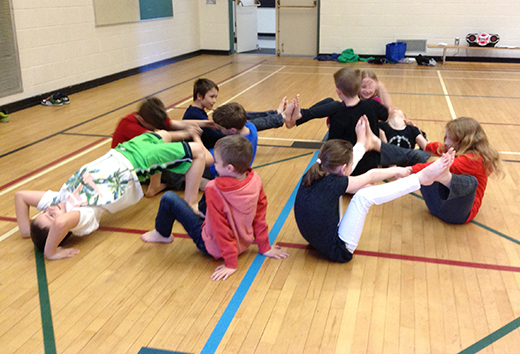 Wondering how dance and movement can help kids learn? Join dancer, choreographer and Expressive Arts therapist Lee Kwidzinski for the interactive workshop, Education in Motion: Introducing Creative Movement into the Classroom on Saturday, June 13! Lee is passionate about arts in education. This workshop is an introduction to incorporating creative movement into the classroom, where participants will be energized and explore new ideas in a supportive environment. Participants will be led step by step through the creative process, from how to warm up the imagination of the students to facilitating learning through movement. Some examples may include using creative movement to teach math concepts, explore colours, or discover the principles of sound. From this experiential workshop participants will leave with confidence, filled with new ideas and practical tools necessary for the application of these concepts in the classroom. Participants will have the opportunity to work in groups and to prepare their own lesson plans using movement-based activities. Have two left feet? No problem! 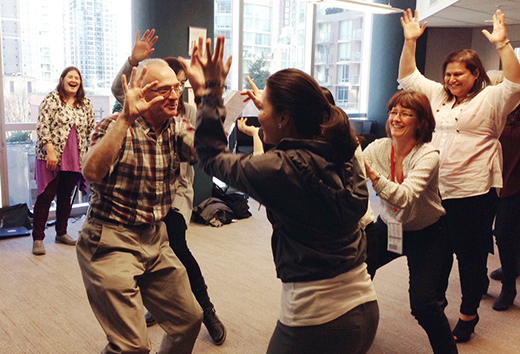 No previous movement experience is necessary and the course is suitable for educators, administrators and artists. This 3-hour workshop takes place from 11am to 2pm on Saturday, June 13, 2015 at the ArtStarts Gallery, located at 808 Richards Street, in downtown Vancouver. Admission is just $15!